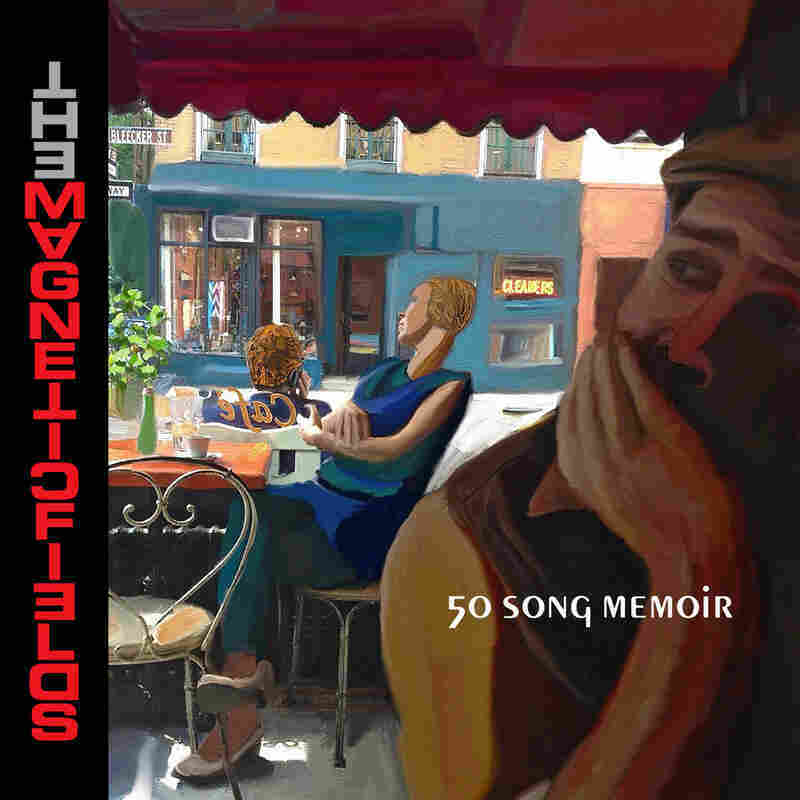 Listen: The Magnetic Fields, '50 Song Memoir' Listen The Magnetic Fields' 50 Song Memoir, Stephin Merritt's autobiography in song — one track for each year of his life. Note: NPR's First Listen audio comes down after the album is released. However, you can still listen to a sampler of the five discs in this release with Spotify or the full five albums with the Apple Music playlist at the bottom of the page. Among fans, a new album by The Magnetic Fields is a moment for celebration and scrutiny: What restrictions has Stephin Merritt placed on his songwriting and recording this time, and how have they tweaked his carefully-made songs into new shapes? On 50 Song Memoir, the rules are as esoteric as ever (no more than seven instruments per song, no instrument used more than seven times across the album), but in using his own life as raw material, Merritt gives close listeners something new. This story weaves together the events of a life dedicated to music (one song for each of his 50 years) with the skills and perspective honed by that dedication. We're doing something special with 50 Song Memoir: Each day this week, we've premiered one of its five discs. Today, you can hear the whole album, which starts in 1966 with Merritt's conception and follows his early life and teenage years, including his efforts to master synthesizers, his late nights at NYC dance clubs and some particularly heinous memories of his mother's boyfriends, the era in which he founded The Magnetic Fields and made 69 Love Songs all the way up to 2015, his 50th year. We've also published an essay by Barry Walters that covers the entire album. My advice: Add the playlists to your queue and head over there to read the whole thing.